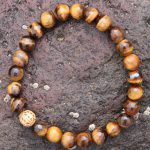 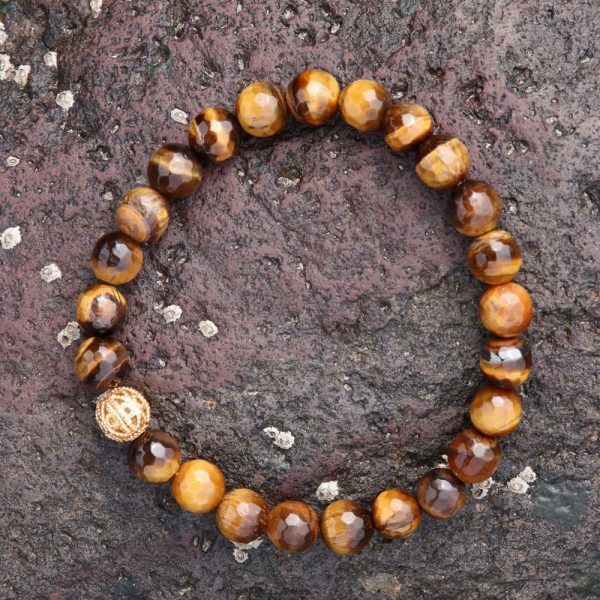 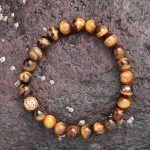 Stretch-style bracelet with rich, dark 8mm Tigers Eye stones that demonstrate beautifully the “chatoyancy” or cat’s eye effect that this stone is famous for. The bracelet is approximately 21cm in circumference, and is finished with a filigree gold plated bead. Traditionally, Tigers Eye was carried as an amulet against curses. 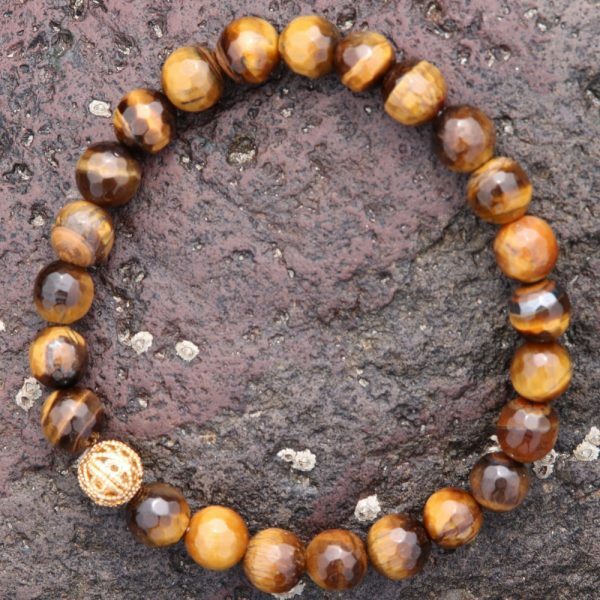 It is believed to give courage, self confidence and strength of will, and was worn by Roman soldiers for protection when they went into battle.